N'Golo Kante is proving to be priceless as he closes in on a second league title in as many seasons with different clubs. There’s a link between the revival of the Premier League’s champion-elect, Chelsea, and the demise of its beleaguered titleholder, Leicester. N’Golo Kante swapped Leicester for Chelsea for 30 million pounds (then $40 million) in July, an offseason deal that barely caused a ripple compared to the razzmatazz over France teammate Paul Pogba’s world-record transfer to Manchester United weeks later. Yet Kante – a 5-foot-6 (1.70-meter) force in midfield – is proving to be priceless as he closes in on a second English league title in as many seasons with different clubs, matching Eric Cantona’s achievement with Leeds and Manchester United in 1992-93. 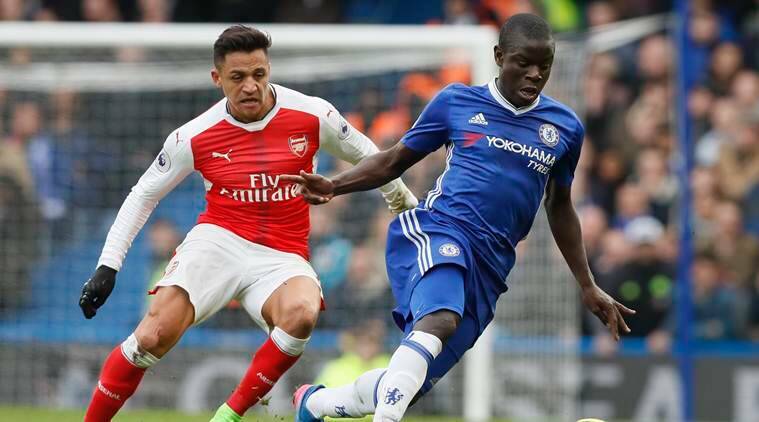 With his tackles, interceptions and ability to switch defense into attack, the 25-year-old Kante is the cornerstone of a Chelsea team that holds a nine-point lead in the Premier League with 14 games remaining, a season after finishing in 10th place. Meanwhile, Leicester, the champion last season at odds of 5,000-1, is in a relegation fight without Kante running its midfield. The team is one point above the bottom three and in danger of becoming the first defending champion to be relegated in nearly 80 years. Leicester manager Claudio Ranieri knew the significance of losing Kante. Arsenal manager Arsene Wenger knew it, too. He had tried to sign Kante two years ago, when the midfielder was starring for Caen in the French league but was unheralded in the wider world, and made another attempt during the last offseason. The fact he has missed out twice clearly irks Wenger. According to Opta, the official statistics supplier of the Premier League, Kante made more tackles (146) and interceptions (134) than any other player last season. The previous season, he made more successful tackles than any other player in the French league. He is third on the list of players winning tackles this season, behind Everton’s Idrissa Gueye and Liverpool’s Jordan Henderson, but there’s still time to catch up. After all, he won 14 tackles in a recent midfield masterclass against Liverpool in the Premier League, 11 more than any other player on the field at Anfield that night. Chelsea manager Antonio Conte is trying to develop Kante into more than simply a midfield destroyer. Defensively, though, Kante is so important for Chelsea alongside midfielder Nemanja Matic. With these two players offering such great protection in front of him, David Luiz – a maverick center back seen a potential weak link in Chelsea’s team – has been given an easy ride as the “libero” at the heart of a back three. Chelsea has conceded eight goals in 18 games since switching to a three-man defense in September. Over at Leicester, center midfielder Danny Drinkwater looks like half the player without Kante alongside him, while center backs Robert Huth and Wes Morgan suddenly look exposed to midfield runners. Leicester has conceded 41 goals already, five more than it did in all of last season. With Eden Hazard and Diego Costa playing key roles for Chelsea, Conte is adamant that Kante isn’t the sole reason for the team’s recovery. Yet few would disagree that Kante is the most influential player in the Premier League. Manchester United great Ryan Giggs used his column in The Daily Telegraph last weekend to highlight Kante’s value and say how he wished United had signed him.